Cutscene - This Is Your Moment! Cutscene - Nothing Can Contain Us! Listening to all the tracks, it seems like there was a lot of energy put into this soundtrack, there are at least 30 songs that I absolutely adore. All of the vocal themes are very well done and are my favorite parts of the soundtrack. Infinite's full theme and the full version of Fist Bump are truly amazing, memorable and worth the wait. The electronic beats of Zavok's battle, Moonlight Battlefield and Infinite's battles, the rock in Luminous Forest and Lost Valley, and the chiptunes in Ghost Town and Casino Forest are all memorable in their own ways. 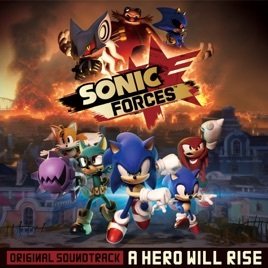 One of my top 5 favorite Sonic soundtracks, contender for favorite overall. M.Zik: these songs... they are good!